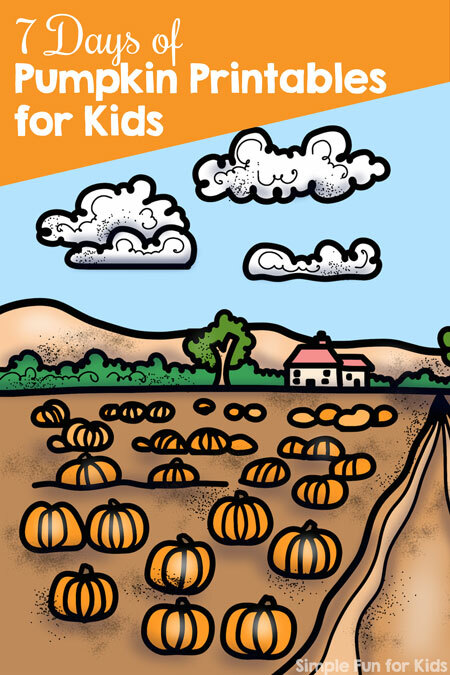 Welcome to day 5 of the 7 Days of Pumpkin Printables for Kids series! 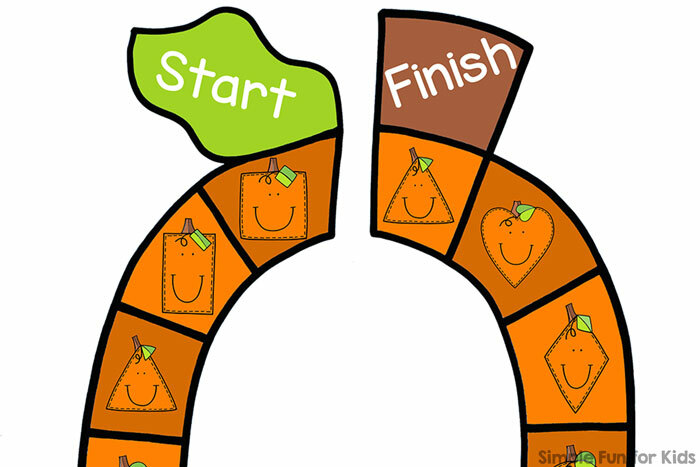 We love playing board games around here, and to keep with this week’s theme, we tried a pumpkin game board and played a Pumpkin Shapes Board Game. It was super simple and super fun! Manipulative to use as a game piece. Two with the game board AND the pumpkin shapes in color. Two with the game board in black and white and the pumpkin shapes in color. Two with the game board AND the pumpkin shapes in black and white. For each of the three basic choices, you can pick a version with instructions printed in the middle of the game board or one without instructions. The die template is available with pumpkin shapes in color or black and white. Print the game board and the die template you want to use. Cut out the die template at the solid lines, crease at the dashed lines, and put the die together with a glue stick (my favorite way) or a few small pieces of sticky tape. You can laminate the game board if you want, but I haven’t had good luck putting the die together after laminating the die template. 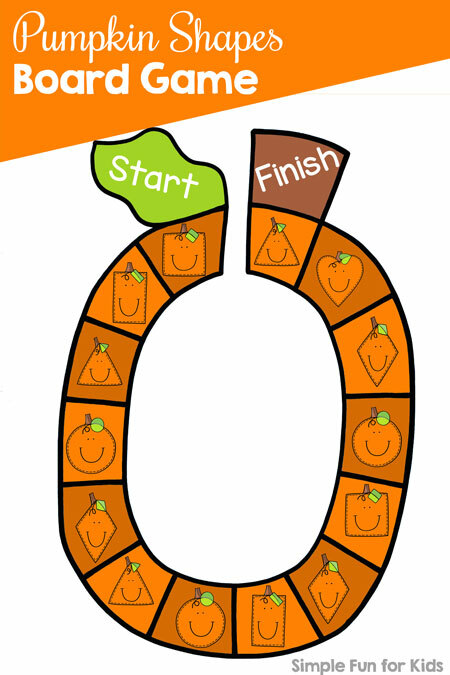 Download your Pumpkin Shapes Board Game!